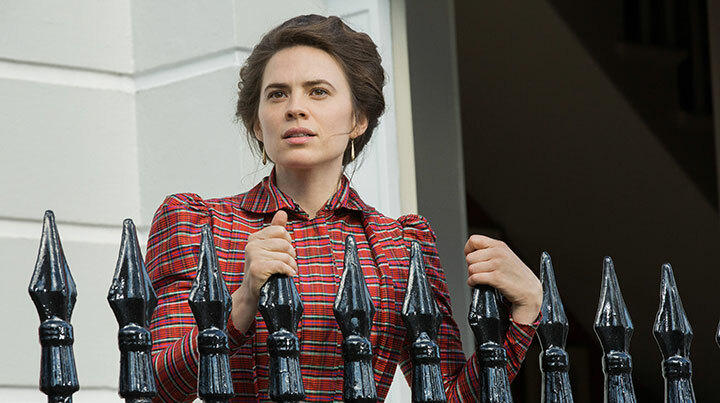 Hayley Atwell stars in Oscar winner Kenneth Lonergan’s adaptation of the beloved EM Forster novel Howards End, a coproduction for BBC1 and Starz. DQ visits the sumptuous set to find a period drama moving with modern times. There is a stunning stately home overlooking a lake, an ornately decorated marquee and a beautiful bride in a wedding dress. This is the lavish setting for a key scene in a new BBC- and Starz-financed production of the seminal EM Forster novel Howards End. The only problem is the intermittent rain that is stopping filming every half-an-hour. But, as anyone who has ever filmed in England knows, that’s unavoidable. “Poor Evie, getting married in the rain!” laughs Hayley Atwell, who plays the book’s central character, Margaret Schlegel, as she snuggles up in a warm coat on set (it may be April but it’s cold as well as wet). The scene being filmed at the West Wycombe Estate in the Chiltern Hills – when Evie Wilcox marries Percy Cahill – is key to the story as the worlds of the three families featured in the book come crashing together. No one comes out unscathed. Howards End was made into a hugely successful Oscar-winning film 25 years ago with Emma Thompson, Helena Bonham Carter and Anthony Hopkins, but the time is ripe to make a new adaptation, says Sir Colin Callender, whose Playground prodco has made the four-part miniseries in association with City Entertainment and KippSter Entertainment. It is distributed internationally by Lionsgate. The drama looks at three families occupying different levels of the Edwardian middle class. There are the Schlegels, Margaret and Helen (played by Philippa Coulthard), orphaned sisters who live in an intellectual world of money, loosely based on the Bloomsbury Set, a real-life group of intellectuals. 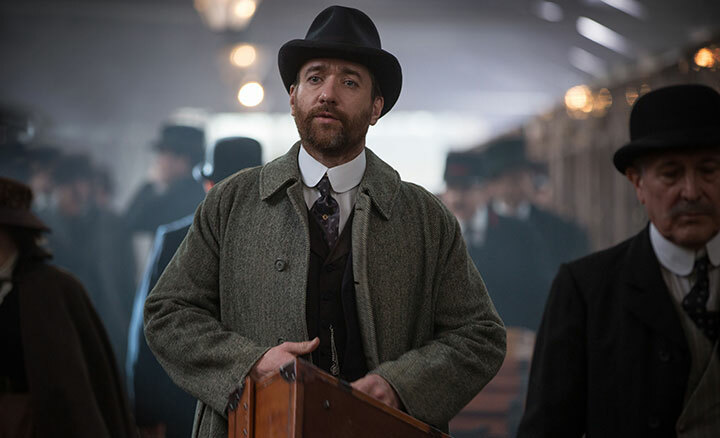 While on holiday in Germany, they meet Henry Wilcox and his wife Ruth, played by Matthew Macfadyen and Julia Ormond, who are wealthy capitalists. 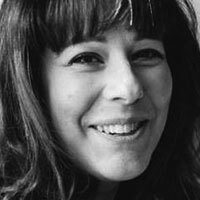 At the start of the story, Helen is staying with the Wilcoxes at their house, Howards End, when she falls in love with their younger son Paul (Jonah Hauer-King). But Paul is penniless and meant to be heading to Africa to work for his father; the romance is hurriedly finished before it even really begins, leaving Helen heartbroken. Back in London, the Schlegels meet struggling clerk Leonard Bast, played by Joseph Quinn, at a classical music concert. He is entranced by their intellectual world of chatter and music and wants to be part of it, but the economics of his situation make it impossible. Meanwhile, the Wilcox family come back into their lives when they take a luxury flat opposite the Schlegel home. The producers and director Hettie Macdonald were determined that while Howards End would have all the same production values of other BBC costume dramas, it should have a modern feel. It certainly looks the part, introducing us to a world that was changing, where horse-drawn carriages were being shunted off the road by motor cars. The series was filmed partly on a stage in Twickenham, south-west London, and partly on location. Finding Wickham Place, the home of the Schlegels, proved particularly difficult. Many of the streets the producers like were unavailable due to building work, so exteriors were shot in Islington, north London, and interiors were built on the stage. Just as challenging was finding the production’s Howards End, the mystical house that belongs to Mrs Wilcox and starts and ends the story. Forster based the story on his own childhood home, Rooksnest, a country house near Stevenage that once belonged to a farming family called Howard. The house used in the show is a private home in Godalming, Surrey, which has rarely been used for filming before but, like Rooksnest, was constructed around a Tudor building. The actor started in period drama, with starring roles in Brideshead Revisited and The Duchess, but for the last few years has been best known as Marvel hero Agent Peggy Carter. Atwell first portrayed Carter in 2011 movie Captain America: The First Avenger, before going on to star in spin-off Agent Carter for two seasons on ABC. She admits she revelled in playing a character who was a little deeper than your average superhero. “I have been doing Captain America [the movies and associated series] seven or eight years now and it is full of people who I really love, but I am classically trained and I found this source material a lot more interesting, a lot more fulfilling,” Atwell says. “You can have conversations with our director and the other actors about what is in these scenes, what is the most interesting thing to play. You can analyse what is really happening because it is all really subtle. When you have to do a lot of exposition to drive the plot along, it can be tiring and a bit boring, with all due respect. When you have a job like this, there is so much to it. It was exciting creating such a rich inner world rather than just turning up and looking good and pointing a gun.